How to Use ES6 in Webpack Config? Are you ripping your hair out trying to figure out how to get webpack to understand ES6 syntax? I just spent 2 hours trying to figure this out. Ok, I’m lying it was more hours than I want to admit. I just want to save everyone time. Name your config file webpack.config.babel.js. Create a .babelrc file. This is the important bit I was missing! Now you can run webpack successfully! Note: This information is accurate as of on November 16th, 2015. If you find any inaccuracies, please report them so I can update this post. It took a few days to piece this information together. I assembled it from external sources and my personal experiences. I have included many links to exact locations Google Maps. Use the Street View feature to see around. The focus of this guide is about the train experience and not about the Alishan National Scenic Area. It is not my intention to cover the entire Alishan experience with this post. Construction of the Alishan Forest Railway began in 1904. It began during the period of Japanese colonial occupation (1895-1945). The main goal was to provide for the transport of logs from forestry operations in the Alishan area. The Chiayi-Erwaning section, running 66.6 kilometers, opened to traffic in December of 1912. Railway was extended to Alishan. New branch lines were added to meet the needs of the developing forestry industry. The railway that operates from Chiayi to Alishan today is about 71.4 kilometers long. It is one of the world’s most famous alpine railroads. Forest recreation and tourism were rapidly developing. The old steam locomotives were replaced with diesel engines beginning in 1962 to accommodate the growing demand. At the same time, the line’s primary function switched from hauling logs to transporting passengers. Alishan Railway gradually developed into an alpine tourist railway. The “Alishan Express” train was added in 1984, reducing travel time to three hours and 15 minutes. The old steam locomotive number 26 was restored in 1999. The restoration was part of the Chiayi Cultural Center’s “Railroad Legend” activities. It runs from Beimen to Zhuqi. Since then, this “steam engine experience” has become a popular tourist choice. During Typhoon Morakot in August 2009, many parts of the railway were damaged and have been closed ever since. Currently, the train runs until Fenqihu station. After that, you may transfer to a bus which will take you all the way up to Alishan Station. The effort was made to restore the railway and have it operational by December 25, 2015. Supposedly repairs were complete. The tests were under way. That’s when Typhoon Dujuan hit on September 28, 2015, and damaged the railway again. Reports are that the damage is significant. It might take up to two years to complete repairs. Note that the local rides once you get to Alishan are still operational. This affects only the part of the line to get to Alishan. Only one train leaves every day from Chiayi at 09:00 and arrives at Fenqihu at 11:20. On weekends and holidays, there is an extra train leaving Chiayi at 10:00 and arrives at Fenqihu at 12:20. The return trip from Fenqihu is at 14:00 and it arrives back to Chiayi at 16:20. Likewise, on holidays, there is an extra train at 15:00, which arrives at Chiayi at 17:20. There are only 138 seats (tickets) available for each departure. Tickets can be purchased the same day. But keep mind that during busy time tickets might be sold out way in advance. Busy times are weekends, holidays and high season. The ticket office opens at 08:00 and closes at 16:00. Get there early as people start lining up at around 07:30. Most travelers will most likely start at Chiayi station and ride until Fenqihu station. One way fare is $240 TWD and round trip fare will set you back $408 TWD. The ticket office is right outside of the station when you are approaching it. I got this information from a pamphlet given out by the train conductor during the trip. When I went in person, at least one person spoke decent English. This might actually work, but I haven’t tried it. Telephone reservations are available between 5 and 15 days in advance (including present day). Services hours are between 08:00 and 16:00. Reserve by calling 05-225-6918 or 05-222-9010. Each person (ID number) may reserve 4 tickets per departure date per call. I was on DL 46. The unit was built in 2006 in Nippon Sharyo, Japan. But it is possible that other locomotives are also in use. The locomotive is at the back of the train, pushing it up the mountain. There are 6 cars total. Each car features 23 seats. Seats are arranged in two columns separated by an aisle. The first column is a two-seater, with 8 rows and the single seat at the very back. The other side is a full single seat column with 6 rows (seats). The last car (6) is actually the first car going up the hill. This is the car you want to be in, as close to the single-digit seat numbers as possible, to get the best view. I would say that both sides of the car are equally scenic. There is no significant difference in picking one or the other. The only major difference is that there is a lot of sun on the right-hand side (single seats). Right by the entrance each car has a storage area for large luggage. This is convenient for travelers who will stay overnight at Alishan. You can bring all your luggage with you, and not worry about holding it on your lap. Overhead storage is also plentiful. The cars are air conditioned. This was a pleasant surprise, as I don’t like heat that much and was thinking that the old train might not have A/C. Once you get off the train at Fenqihu Station, you will be able to browse around town. Get a bento box and some famous Alishan oolong tea. The bus to Alishan runs at 14:40. To get to the bus stop, go to the end of the platform, where a small train museum is. Exit the museum at the other end, and go left up the hill. You will see a couple of small buses parked there waiting for passengers. Only one of the buses goes to Alishan. The other bus goes to Shi Zhao. For a connecting bus back to Chiayi or Alishan. If you just wanted to ride the train, and you don’t want to continue to Alishan, one of the options is to take the bus. You don’t need to wait for the 14:00 train. If do not want to go all the way to Alishan and just wanted to ride the train, you can now go back to Chiayi. One of the options is to take the bus. First, you need to take a small bus from Fenqihu Station to Shizhao Township (described below). Then you will transfer to a larger bus #1774 to go to Chiayi. This bus goes for about 1 hour and 20 minutes on a very windy, mountain road. If you get sick easily, better take the train. Stay at the same stop once you get off the bus from Fenqihu to catch the bus to Chiayi. This road is quite scenic. You will pass many tea plantations, cliffs, and nauseating valleys along the way. The fare is $154 TWD. Pay when you board the bus. The bus payment system accepts coins, notes, and even EasyCard. But it does not give change. If you are using EasyCard, you will need to swipe when you board and when you exit the bus. 1 There are some notes on the schedule in Chinese about this, I am not sure what they mean. The bus stop is at the same place as the bus stop to Alishan. The bus to Alishan is tiny. It has just 20 seats. It might get full fast. In this case, don’t fret. 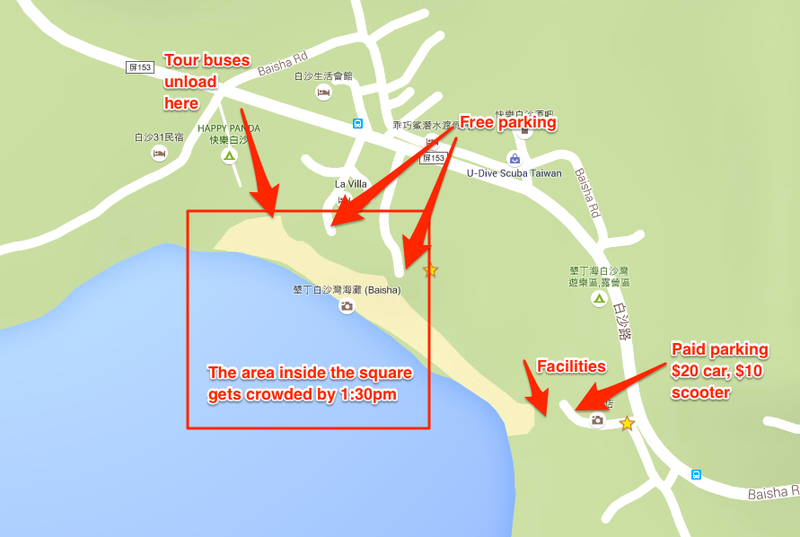 You can take the bus to Shizhao first and then transfer to another, larger bus, to Alishan. You may also want to do this if you finished your Fenqihu station adventure way before 14:40 and want to continue to Alishan right away. This ride is about 15 minutes. The bus has no suspension. The road is old and bumpy. Be prepared to collect your bones before you exit. Surprisingly, the bus is accessible with a wheelchair ramp. Bus fare is $26 TWD. It’s not possible to buy the tickets in advance. Pay the driver when you board the bus. The bus stop is across the street from where you get off the bus from Fenqihu. It is right next to the Hi-Life convenience store. This is the same bus that runs directly from Chiayi. This is just one of the stops on the way. The ride time from Shizhao to Alishan is about 50 minutes. The schedule is not confirmed, but it should be close to this. These are the local lines available for rides once you get to Alishan. These lines will take you to the popular scenic destinations. Zhushan is the best place in the Alishan National Forest Recreation Area for viewing the sunrise. At 2,451 meters, this is the highest railway station in Taiwan. Departure times for the Zhushan sunrise-viewing train vary with the time of the sunrise. Each day’s departure time is posted at the station at 16:00 the previous day. The Shenmu (Sacred Tree) station is known for the 3,000-year-old red cypress that once stood beside the railroad. Here you can still see the majestic aspect of the sacred tree. The tree fell due to natural disasters. You can see only a part of it lying beside the station. The Zhaoping station began operating on March 14, 1914. It is Alishan’s old railway station and the original terminus of the forest railway. If you are a train enthusiast, and would like to geek out and see some more cool train stuff, go to Beimen station. I think it should be possible to board at the Beimen station as well. It’s the next station after Chiayi (first station). The train did stop there, but nobody boarded or exited. You would still need to buy tickets at the Chiayi station. Note that I do not know for sure if it is possible to board there. Please double check when buying the ticket and let me know if it possible. It’s also possible to visit the station outside of the train experience. It’s close to the Chiayi station and is still within the city bounds. A large group of elderly ladies entered at Dulishan station. Many younger people yielded their seats. The ladies stayed on for 2 stops and exited at Jiaoliping. They didn’t look like tourists. I think they were locals, just using the train for transportation. Several scalpers will run up to you when you enter the station to buy tickets or board the train. These scalpers appear to be selling the tickets at cost. The catch is that they want you to book the accommodation with them as well. They speak no English and even if you don’t speak Chinese they will still try to talk to you. I was thinking about starting a blog for over 10 years. But writing is a great challenge for me. I decided that it is time to face the challenge and learn to write. 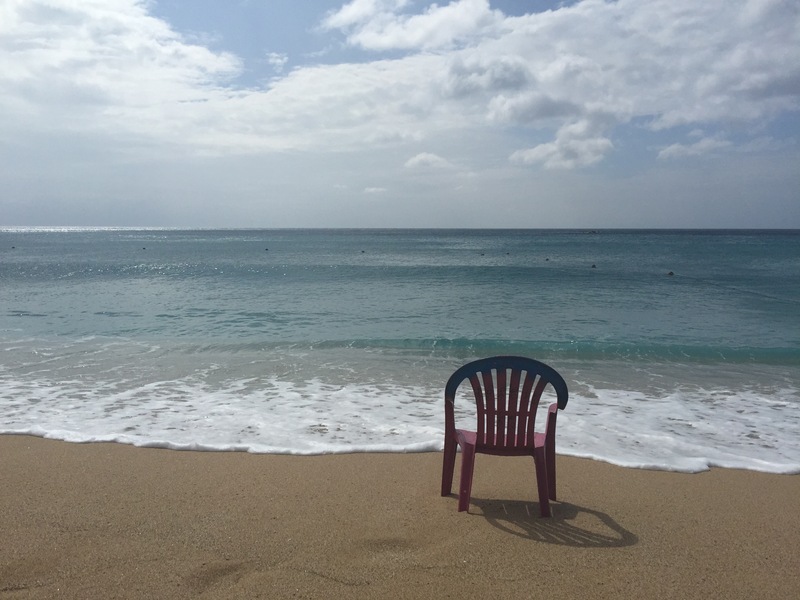 In true spirit of location independence, I decided to start this blog right on the beach. Taiwan is somewhat of an uncharted territory in the English speaking world. Information is scarce, and difficult to find. I will document some of my Taiwan experiences and findings here, on this blog. Let’s start will start with the Baisha Beach (Kenting, Taiwan). There is another place called Baisha Bay on the northern tip of Taiwan. On Foursquare this beach is incorrectly identified as Baishawan. I already filed a request for change, but who knows if Foursquare is paying attention. 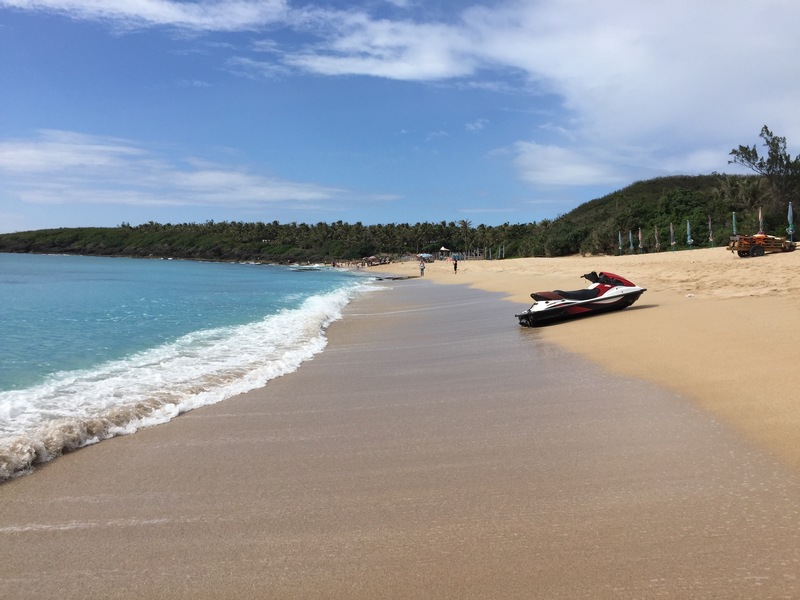 Baisha Beach is a lesser known gem. The reason this beach is not popular is because it is more difficult to get here than other beaches nearby. You will need a scooter, a bicycle or a car to get here. We were here on a Thursday, November 12th at 10am. Right in the midst of Taiwan junior school break. There were no more than 50 people on this beach. But by 1:30pm tour buses started to arrive flooding the beach with selfie sticks. But we were on the southeastern part of the beach and weren’t too affected by the hordes. Umbrellas are available for rent at a hefty price of $300 TWD for the whole day. For whatever reason, you get 5 plastic mini monobloc chairs with the umbrella. But no beach type chaise lounges are available. Make sure to bring a thick beach towel if you want to lay down. The water is clear blue. Some parts of the beach have giant rocks, which wouldn’t impede the swimming in any way. But most of the beach and ocean floor is completely clear of any ocean debris. The weather was odd. It was sunny and hot (30C). But occasionally it rained, while the sun was still out. The waves were big but fine for swimming. The sand consists of crushed sea shells and isn’t so fine. The bathroom and change room facilities are available at both sides of the beach for a fee of $20 TWD. But when we were there nobody was tending the till and the entrance was free. The beach does get busy during holidays, especially Chinese New Year. So plan accordingly and check Taiwanese and Chinese holidays.